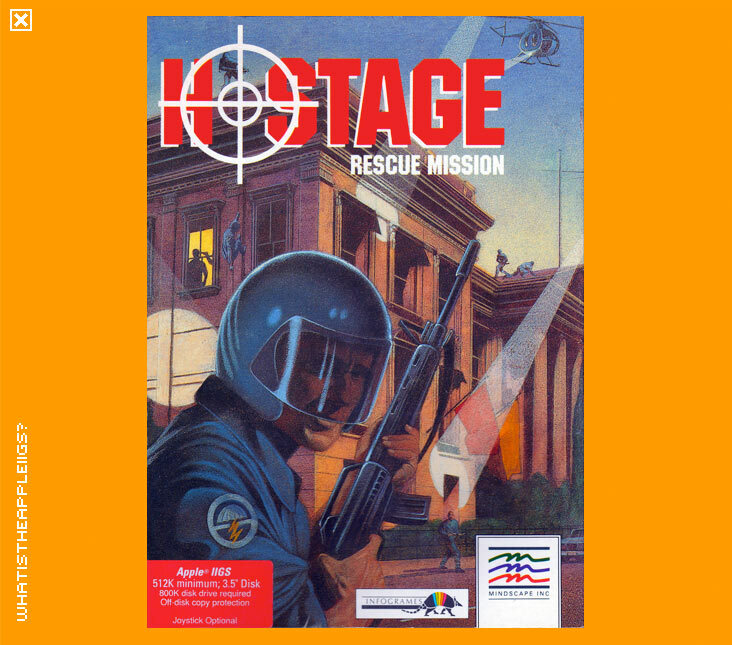 Hostage is another brainchild of Infogrames, the French gaming jugernaut. In Hostage the player assumes the role of commanding an anti-terrorist squad. Somewhere in Europe, the U.S. Embassy has been overrun with terrorists who have taken its occupants hostage. Your job: get the hostages out alive. The game begins with a neat introduction, from which you then select which difficulty you would like to play at and which mission (it's not obvious what selecting different missions does, because game play appears to be the same despite which mission you choose). In commanding your team, you select between the different members from the bottom left of your standard character keys on the keyboard, e.g. Z, X, C. The first part of the mission is to deploy your men in three marked positions around the embassy for sniping positions. You will begin at the bottom right of the map and will have to reach a marked position by stealth. You can run and duck, but that's all you'll need to avoid the searchlights, which if you're caught in one, will mean you're shot at by the terrorists in the building. Move up and press the fire button (option, if you're playing with the keypad and control-K seems to kick in keypad control) to enter a doorway, where you can check where you are currently located on the map. If you are positioned in a marked spot, the next team member will be selected automatically for his run. If not, you can select between each team member when you're on the map view by pressing Z, X, C on the keyboard. With your snipers in position (and I recommend that all three make the marked positions) three of your men are then deployed by helicopter onto the roof of the building, from which they are to abseil down. However, I haven't progressed any further than this. Not being sure of the objective, are you meant to shoot any shadow you see in the window from all three sniper positions? Or are the snipers there just to assess which rooms are occupied by terrorists (or hostages?) so you can have your men enter into the building from the roof into a room which is unoccupied? Either way, to control the six troops now under your command goes as follows: there is a planview map of the embassy, which displays the location of all your troops with the three sniper positions and the three men on the centre of the roof. On the bottom right of the screen is the listing and corresponding key control of each man. If you wish to view a sniping position, select either Z, X or C and then press escape. You should now be in sniper mode, complete with unsteady gunsight aimed at the building. Press escape to exit sniper mode. If you're selecting one of your men on the roof, choose V, B or N. When you have found out which side of the building to climb down on (for reasons discussed above, i.e. I'm not sure why) press the fire button, and an X marking the position of the climber will be toggled across the outside of the building, the building being divided up into three rows and three columns. When you have selected which window "column" it is best to climb down, press escape, which will now view the game from the abseiling troopers view. Moving right makes him climb down, moving up stops him and also pulls him up. The fire button makes him swing towards the building, in the hope that he might enter one of the windows...but so far I have been unable to do so. 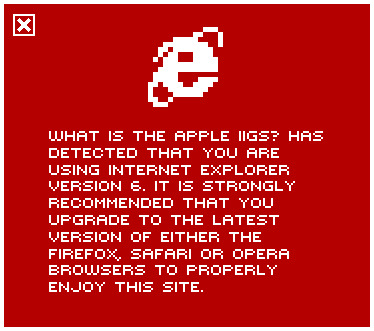 You're now on your own. Not even having progressed very far into the game, Hostage is solid game. The graphics are first class, the game play is very smooth and responsive and the opening music and in game sound effects are excellent. The only complaint I might have (besides not knowing how to properly play the game) is that loading times are a bit long, however this shouldn't be a problem with emulation. If anyone knows how to play the game to its conclusion or better still, has a copy of the manual in some downloadable form, I'd love to hear from you.